The NRAO is committed to providing a meeting environment in which all individuals are treated with respect and dignity, including an environment that is free from physical, social, and/or sexual harassment. At NRAO-sponsored meetings and conferences, attendees are expected to support a welcoming environment that includes mutual respect regardless of race, color, religion, gender, age, disability, gender identity, gender expression, sexual orientation, marital status, national origin, and any other characteristic protected by law. Behavior that disrupts the community of trust and mutual respect may be grounds for dismissal from the meeting. If you are an attendee who feels that you have been made to feel unwelcome, or have been threatened, please report the incident to Lyndele von Schill (on site), or to hr@nrao.edu. 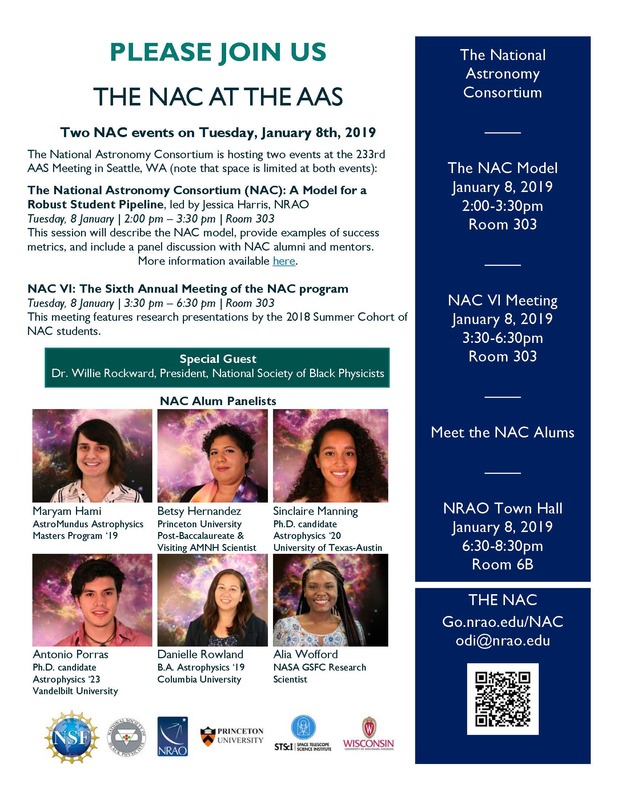 The National Astronomy Consortium (NAC) student program features a cohort-based, year-long student research experience for undergrads. 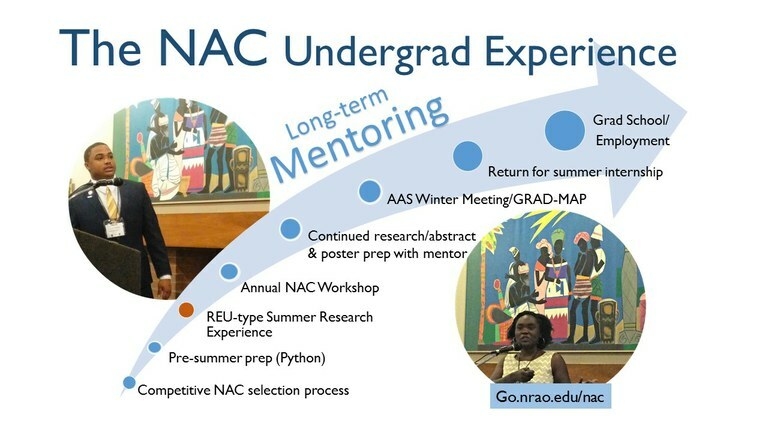 The NAC program is designed to broaden participation in 'full-spectrum' astronomy for underrepresented and under-served students. 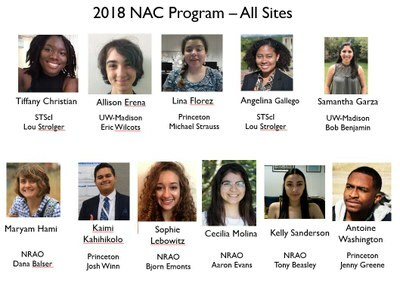 Our NAC students spend their summers at one of our partner sites, working with mentors on a research project, and forming bonds with their fellow cohort members. research and internship opportunities for short and/or long term experiences at partner sites.